LOS ANGELES, Calif. /California Newswire/ — Bistro Planet, the first company to connect the entire food truck marketplace under one platform, announces the launch of their Lot Booking Marketplace service in the Los Angeles metro area. The Bistro Planet app is currently used by foodies to locate nearby food trucks in real-time, view menus, and place orders; now the food truck owners themselves can use the technology to book a coveted vending spot at some of L.A.’s most popular food truck lots in just a few clicks. Inspiration for the lot booking feature came from popular travel and home-sharing booking sites that solve some very complex supply-demand problems. 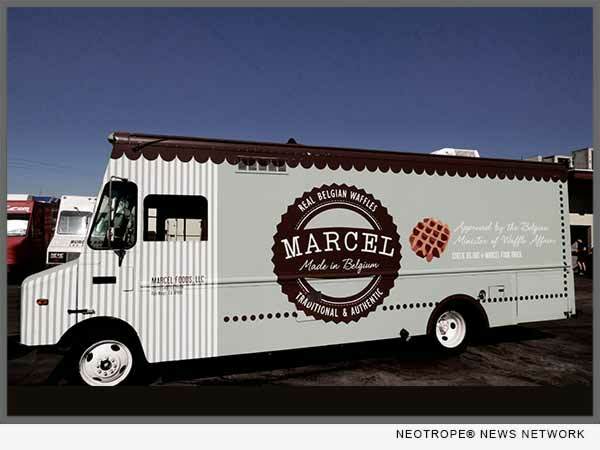 The food truck industry has been ripe for new technology solutions that are tailored for this growing market. With the Bistro Planet Lot Booking Marketplace, food truck owners login and see a calendar view of their trucks’ bookings, select vending spots from a listing of lots available around town, and even see load-in instructions, site manager contact info, and other trucks vending alongside their selected space. Bistro Planet’s Lot Booking Marketplace is already in use by multiple premier property management companies, event organizers and lot bookers in L.A. who list their parking lot inventory on the platform. “Food truck owners know that booking great vending spots is one of the most critical components of whether their business will be successful. We are proud that we have created the first technology platform that makes this process easier and empowers food trucks to have more control over this aspect of their business. Our platform adds transparency to booking fees, cuts down the time and effort food trucks spend booking and looking for vending spots at food truck lots,” said Bistro Planet CEO Roie Edery. Based in Los Angeles, Bistro Planet is a technology company that streamlines the mobile food experience for customers and food truck owners alike. From free downloadable apps for consumers to operations and marketing systems for food truck owners, Bistro Planet aims to help grow the food truck industry one city at a time.